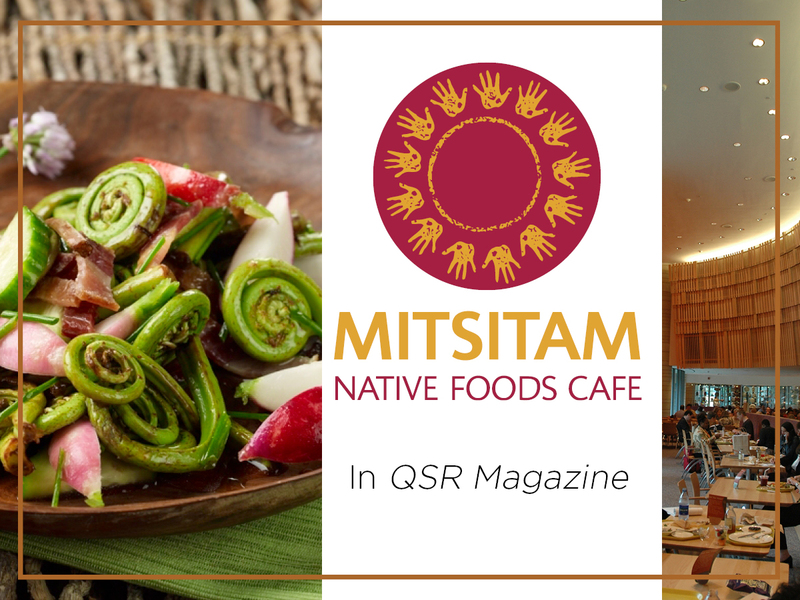 Executive Chef Freddie Bitsoie and the Mitsitam Cafe team were mentioned in this QSR Magazine online article about Native Foods. The article's author, Mary Avant, writes "Chef Freddie Bitsoie and his team at Mitsitam Café (located in the National Museum of the American Indian in Washington, D.C.) are well-versed in the regional variations of native cuisine. That's because the café is broken up into five regions from across the Western Hemisphere, with both traditional and modern dishes featuring ingredients from each geographical area. 'The technique of the food is done to reflect the native tribes—things that I've researched as far as food preparation or things that I know personally from growing up,' says Bitsoie, whose family is of Navajo descent. Dishes at Mitsitam (which means 'let's eat' in the language of the Delaware and Piscataway) include Buffalo Chili from the Great Plains, Seafood Posole from Mesoamerica, Clam Soup from the Northern Woodlands, Wild Rice Salad from the Northwest Coast, and Ceviche from South America. But despite the variety of ingredients across native regions and tribes, much of indigenous cuisine has something crucial in common: healthfulness. Many native dishes are plant-based, nutritionally dense, and full of protein. They often feature meats that are wild or naturally raised."